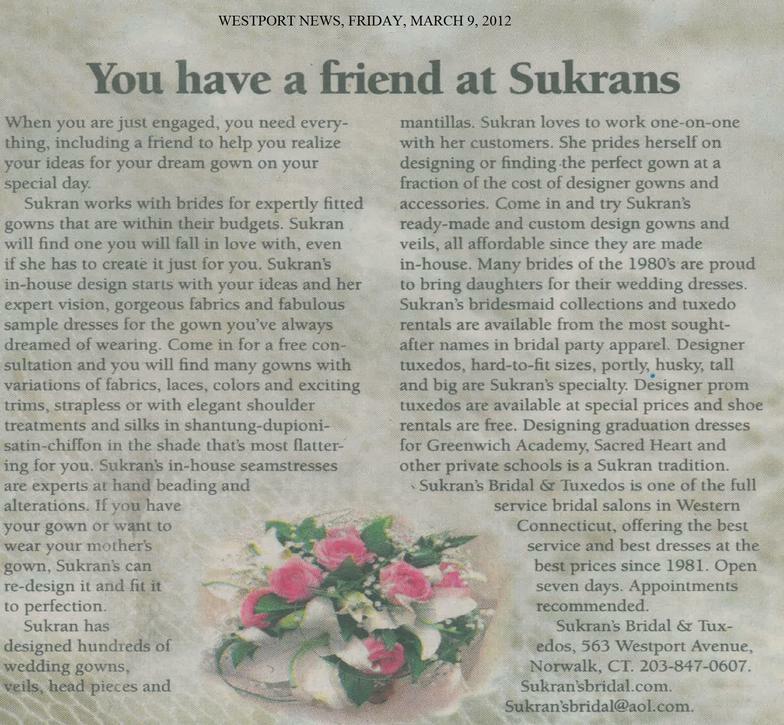 Sukran’s Bridal was founded in 1980 in Westport, Connecticut and is celebrating over 30 years of providing quality gowns and alterations to Connecticut brides. Sukran’s believes a bride’s shopping experience for her gown should be a stress free and joyful event and strives to satisfy each individual bride. Sukran began her sewing career at the age of 7 when her sister taught her the basics and she continued to spend her teenage and college years recreating the latest fashions to keep on trend. Sukran is originally from Turkey where she earned a degree to practice as a pharmacist. Though upon relocation to the US she pursued a new career to showcase her talent in design. Her first store was on Main Street in Westport, Connecticut where she designed sportswear and prom dresses. 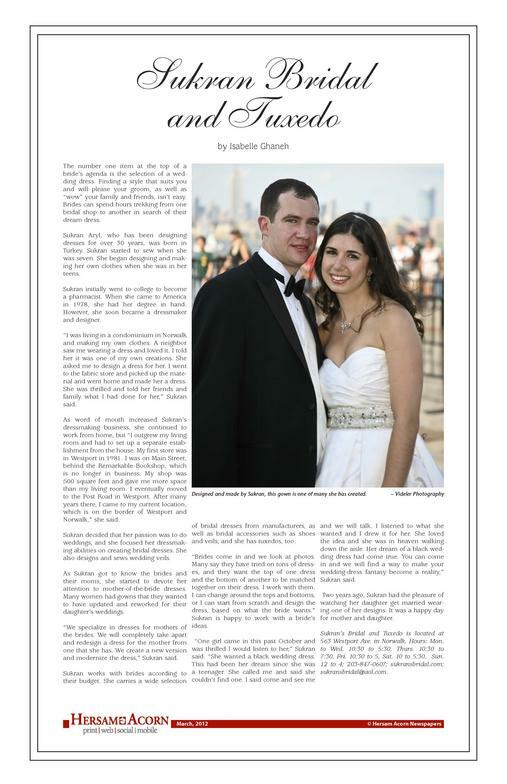 Once her clientele came to her looking for gowns for their next steps in life she moved on to bridal gowns and eveningwear.